Enjoy reading Website Marketing articles! What Is A Digital Blog and Why Should My Online Company Have One? We’ve all heard the term "blog", but do you really know exactly what it means? The exact definition and goals of blogging have morphed and transformed tremendously over the last decade. What was once a simplistic platform for online expression is now a viable career choice for the verbose of word from every corner of the professional writing world. The fact of the matter is, that every business in every field of interest appears to have a blog in some shape or form. It seems that if you're not blogging, you’re behind the times. So what is the global allure of this unique form of internet publishing? And more importantly, why should you really care? Well...the talented people at Max Media Group have dove deep and performed all of the research on your behalf. Their copywriting experts have uncovered the facts, invested themselves heavily in the blogging practice, and come up with some very interesting answers to today’s most common questions on 'All Things Blog' or ATB, to coin a phrase (smiling). The term "blog" was coined in 1998 and is actually a shortened version of its original name, “weblog,” (web + log). The practice began in 1994, although its purpose differed from today’s online journaling formats. Today, a modern blog, by its broadest (simplest) definition is, “a single entry or post on a website.” It is typically written in a conversational voice, or in a first-person tone, as it imparts opinions, stories, observations, tips, advice, and narratives coupled with imagery, infographs and keyword-rich links. The popular proliferation of blogging comes, perhaps, from the ease in which anyone with a keyboard connected to the interent can simply publish and share ideas on an global scale. Your audience is virtually without limit! That’s why blogs are literally everywhere today. The vagueness of its definition speaks to the flexibility of its practice. Blogs adapt to the voice and purpose of the business or individual behind it. They can be used to entertain, build authoritative credibility, share advice, or simply as a creative and functional way to build your business website's SEO ranking. Over 1.5 billion blogs span the World Wide Web today, with two new blogs being created every second— a nearly an unfathomable leap from the mere 23 blogs on the Internet in 1999! Most blogs are read between 7AM and 10AM—which pins the morning hours as the perfect time to post your thoughts! Of the 1.5 billion bloggers and counting, twenty percent of them post daily. Today’s bloggers syndicate and promote their posts through multiple social media channels to drive target traffic to their website offerings. Almost 50% of US companies use blogs to generate traffic to their website and influence the purchasing decisions of their buyers. WILL HAVING A BLOG BENEFIT MY BUSINESS? By blogging on subjects relevant to your offerings, that also solve your end-user problems, you’re giving blog visitors a specific reason to visit your website while in the mood to purchase. Whether they’re a first-time visitor or a returning customer, you’re bringing them back to your website. Doing this while reminding them of your brand and inviting them to further research your product &/or service offerings. This soft invite can be directly conveyed through your company blog post or indirectly by offering relevant advice or tips related to your specific business field of interest. Today’s online buyers research businesses and gravitate toward companies they feel they know and trust. Blog posts exercise the voice of your business, providing your company with topical authority within your service/product genre. Thus, providing your company a platform with which to speak directly to your desired target audience, while branding yourself as an expert within your particular industry. Blogs are no/low cost, fresh web content. If you build posts using specific keywords &/or keyword-rich phrases to rank higher in the SERPs (search engine position rankings), it can dramatically help improve your placement within results on major search engines, such as, Google, Bing, and Yahoo! Blogs are lead generators that can easily add ROI to your bottom line. Professionally-written blogs can bring the right audience to you at minimal cost when marketed through social media outlet platforms. Compared to alternative advertising options, such as, print media ads, they carry a high return on your investment and position you as a trusted authority in your industry. Blogs can serve as additional stream of revenue and not just as a billboard for advertisements! You can provide calls-to-action, digital downloads or market special deals on the services and products you offer, which will convert your audience blog visits into buying transactions. READY TO START YOUR COMPANY'S BUSINESS BLOG? If you want to create an effective, pro-active blog for your online business, but need a writer to take on the task, we can definitely assist your company. Max Media's talented marketing copywriters can compose compelling content for a vast variety of business genres. Contact us today, by clicking on the button below, to see how we can assist you in creating a vibrant blog that brings you both industry prestige, as well as, profitability! As you go about creating new customer engagement programs and direct marketing campaigns for your brand, look for opportunities to give rather than to get. Whoever makes the first kind gesture, as studies show, tends to gain the most. Authenticity, honesty, and personal voice underlies much of what’s successful on the Web. Therefore, don't address your readers as though they were gathered together in a large stadium. When people read your marketing copy, they're typically alone. Pretend you are speaking to each of them face to face when composing content. The best marketing doesn’t feel like marketing. By creating and publishing remarkable content in the form that educates, informs, inspires and entertains, we marketers can begin to build relationships with prospects early on in the buying cycle. Jazz is an expert at Inbound, SEO/SEM, Email, Digital Content Marketing techniques. She is available for public speaking engagements on such topical subjects - Simply inquire as to her public speaking agenda and booking schedule via email HERE. "In 2007, good SEO made you remarkable on the web. In 2017, good SEO is a result of being remarkable on the web..."
Will It Hurt Your Online Business? Are you building a website to impress yourself or your customers? Beauty is in the eye of the beholder – when you are the creator, you are the beholder. When you begin building your own website, you can only depend on your personal taste. In other words, you select a template that you feel best represents you. You choose a style of typography and color scheme that appeals only to you. Eventually, you become too focused and obsessed with the design elements of your website. Since you have no historical data on which to base the effectiveness of your website’s user experience, you will end up seeking the advice of your friends and family, who are not experts in the art and science of web design. As you showcase your newly found talent, you expect only bravo and praise. You don’t appreciate the slightest constructive criticism. After all, you have just spent an inordinate amount of time, effort and sleepless nights building your masterpiece. Attracting and retaining new customers is not high in your list of priorities. Already growing weary of maintaining your website? Another challenge you will experience in the long run is boredom. Since building a website is not your expertise and neither your passion, constant updates will feel redundant. There is a 99% probability that you will be logging into your website less and less overtime to update content. You will begin seeking out junior talent to update your website, i.e. - your teenage child, who is extremely active online and an amateur web designer. Bad idea? You may be risking too much to gain very little results. In other words, it is much easier to destroy than to create. You can’t hold family members liable for any damage that may occur to your website - you allowed it to happen. Unless your family member, be it cousin, nephew, uncle or sister is a website professional, avoid asking such favors at all costs. Once again, in the shift of responsibility to maintain your website, your customer’s needs get lost in the shuffle. Are you building a website that looks like a million-dollars or building a million-dollar clientele? As an entrepreneur, you can wear multiple hats and wear them well. You assess the needs of your customers effectively, provide profitable resolutions and develop a successful client portfolio. More concisely, you are a specialist in converting your clients into long term partners, who in turn become your biggest promoters. A successful entrepreneur also knows how to delegate authority and collaborate. You can’t build an empire all by yourself without the expertise of your partners, agencies or contractors. Simultaneously, it is crucial for your website to portray your business’s purpose effectively so that you attract the right audience for the right reason. Remember, what problems your website chooses to solve determines what audience you attract. Perhaps you are excited about the prospect of being able to build your own business website. This new- found passion will come to an abrupt halt the moment you run into technical issues that are outside your base of knowledge and skill sets. 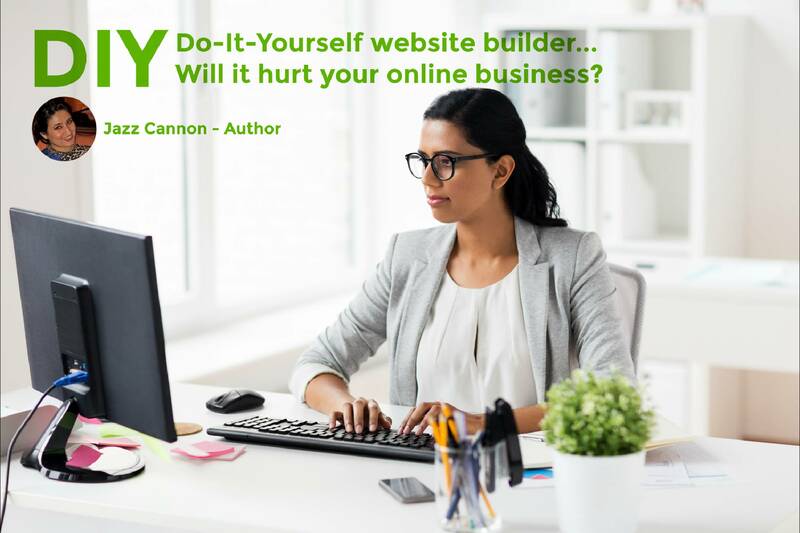 In the same way that you qualify your customers by asking key questions, below are a few questions that will assist you in qualifying whether or not DIY website builder is the right choice for you. If you have trouble answering any of the following questions, perhaps you shouldn’t DIY. 1. Can you define the difference between building a website and a landing page? Which one is more important for your type of business? 2. Do you have a concept of what is a measurable call-to-action strategy? 3. Why Search Engine Optimization important? 4. How does Google search engine ranking position (SERP) work? 5. How do you target key phrases to get to the top of the SERP? 6. If you are selling products, do you understand E-commerce best practices? 7. Do you know the steps of how to set up the hosting your website? 8. How do you improve the conversion ratio on your site? 9. How do you recover from negative customer ratings? 10. Do you actually have time? These are basic skills that you must possess in order to effectively create your website, utilizing best practices and the required tools available to become visible and on top of the search engine ranking. If you understand and can answer all the above questions, then you are well on your way to launching a successful online presence using a DYI website builder. You can enjoy laying on the beach, sipping on your Pina Colada while watching the sunset. Today, building a website is no longer about design. It requires a digital marketing strategist to grow your online business. Therefore, partnering with the right marketing and design agency can aid you in strategizing your plan of action, creating a tunnel vision that will attract your target audience, improving your website performance for greater user experience and enhancing your marketing brand. Hence, a successful agency will share your vision and make it a reality. If you select the right agency, budgeting for a web project will not be as much of a concern, as an effective strategy will allow you to garner a higher return on your investment (ROI). Meanwhile, you can focus on the big picture and your mission to make your products or services stand out from the crowd. Jazz is an expert at Inbound, SEO/SEM, Email, Digital Content Marketing techniques. She is available for public speaking engagements on such topical subjects - Simply inquire as to her public speaking agenda and booking schedule via email her email above. 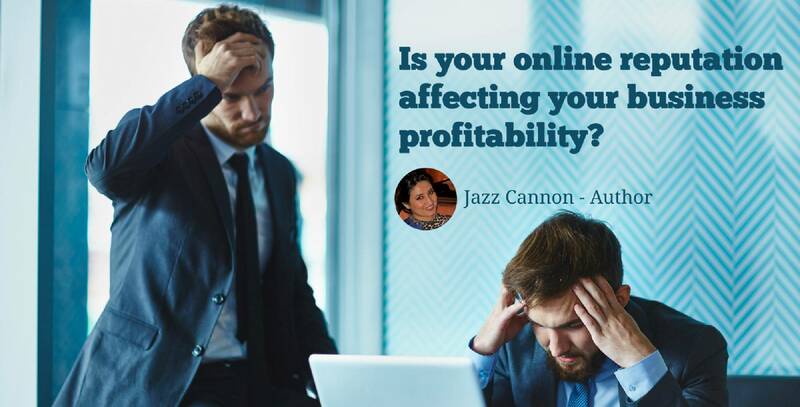 Is Your Online Reputation Affecting Your Business Profit? “First impression is the lasting impression”. You have heard this expression before. When you prepare to meet someone important such as going on a job interview, delivering a first-time public speech or hosting a dinner for new friends, your end result is that, you want to make a good positive lasting impression. From your attire to the table side etiquette, you set yourself up to be perceived as confident, trustworthy and approachable. The same rule is applied to your business. Big corporations spend a great deal of money, time and resources to introduce global service standards and core values to their employees. They empower their associates from the CEO to the front desk representative to improve customer service, be good listeners, provide guidance, respond in a timely fashion and continue to delight their customers while building great relationships. Small businesses, on the other hand, may have limited resources and budget to invest in professional support to provide them with best business practices. However, they have a good concept on how to bootstrap. Building one client relationship at a time, relying heavily on a word of mouth and strive to building a good solid reputation within their community. What about the first impression of your online business? Building a website for your business is no longer optional, it is a must have. You want to attract more customers, increase credibility and build trust with your online visitors. No excuses. So how are you going to build a long-lasting impression online? You cannot see your visitors in person to offer a friendly greet. No initial introductions. They cannot see how you dress or define your personality to determine if they can establish a relationship with you. They can’t ready your body language or your personality to determine if they can establish a relationship with you. What about those disgruntled employees that go online and start to bash and trash your business on every channel just to make themselves feel good? The first impression is no longer in question, but how to recover from such accusations that you have no control over? What do you do when those Google search engine 5 stars are dropping? Your potential customer might wonder if they should spend a valuable second of their time to click on your website without being instantly drawn by one of your competitor with a full blown 5 start blast and hundreds of positive reviews. It is no longer a shocker that people across the world are consumed by their digital devices. As if we are living in a two-dimensional world but sharing the same time zone. We listen, talk and eat while keeping a fingertip on our cell phone screen, browsing, reading and texting simultaneously. Multi-tasking is no longer an impressive skill on our resume, it is expected. Having said that, customers have become extremely research savvy. Before utilizing your services or products, they look up your business online and read other customers’ reviews about you. They browse your landing page to see if your website is professional at first glance. They read your blog and make up their mind in a split second to trust your website enough to do business with you. Finally, if you are easily approachable, then you have attracted and converted a lead successfully. Consider blogging as you would build your credit score. Write a resourceful business-related content and publish on different targeted business platforms. Make sure you are only blogging to your related industry. Also, look up websites that allow guest bloggers. Offer to write guest posts and ask for a link back to your site. This will help generate more traffic to your website and rank you higher on search engines. Create a new positive online presence by developing business related platforms on social media such as LinkedIn, Facebook and twitter, YouTube. Instagram, Pinterest etc... Consistently engage with key industry leaders. Post related business images and videos to encourage more likes and generate more traffic to your website. Thus, getting ranked higher on the search engine. People know when you are honest and transparent by the way you write your content. So be human and tell a story. Your readers will help you in understanding your buyer behavior. Encourage customer review and respond frequently to their inquiries. Easy come but difficult to go. Although I can empathize with a customer expressing discontent with a product that they had high expectation to resolve their problem, it is also understandable that a business owner wants to deliver exceptional quality service and satisfaction guaranteed. After all who wants a returned product or an unhappy customer, right? This is a lose/lose situation for both parties. The goal of your business is to delight your customer. Hint: It is more difficult to attract new customers than to ensure the satisfaction of your existing clients. In fact, according to Harvard Business Review, you have a 15x increase in your ROI when campaigning for current customer’s returned business, than when you are campaigning for first time buyers. Meaning, you can easily network with your current customer and they are much more likely to continue utilizing your products and services. So, it is to your great advantage to tackle negative comments by responding openly and assuring them that you will make corrections, while offering something beneficial in return. A wildfire starts with only a spark. Be Smokey the Bear. Keep a close check on your brand reputation. Run a Google Analytics report. Check Google search to ensure your site is listed on the first page of the search index. Perform SEO if your site is not readily visible. Check for any broken links on your website. Protecting the integrity of your brand will ensure the safety of your reputation online. If you don’t have time for routine maintenance, then seek professional digital marketing support. and will no longer appear on google search. In the long run, it will dramatically increase your visibility as a trustworthy advisor. How to increase your search engine result page (SERP) through proper image naming and tagging? It is easy to upload an image to your web page. You simply browsing through your image gallery or stock photos, select your desired image and click insert. Your image appears on the designated image box on your webpage. You press the publish button and Voila! the page is LIVE for the world to see. Correct? Not quite. Image optimization is most essential part of Onsite page SEO. To put it into simple terms, Google search engines can easily recognize what your web page is all about through your key word phrases. 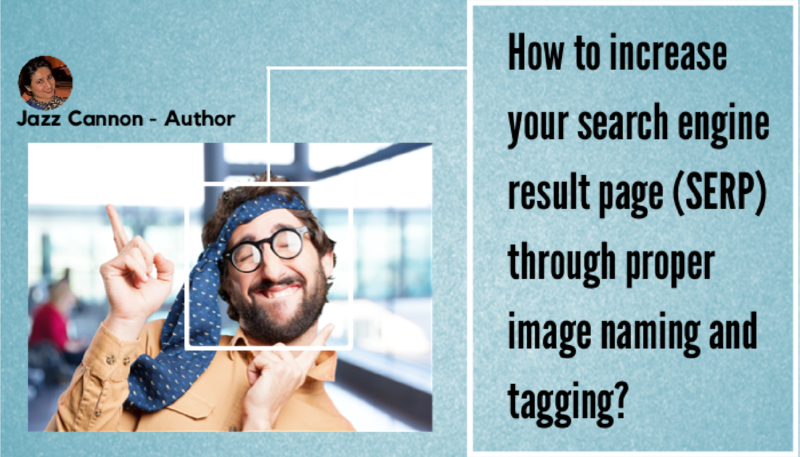 How do you optimize your images for better search engine results? Always name your images specifically. “Joe’s Jewels_black diamond_princess_cut_1.5_carate_ring”. The original name of the image that is downloaded from your camera or stock images, typically appears such as this “IMG234565456”. Not very recognizable, is it? With the above example, search engine bots will be able to recognize and interpret your image easily. Thus, making your webpage appear on the first page of the search engine due to its relevancy for the person who is searching for a black diamond princess cut ring. Resize your image file to prevent your pages from loading slowly. Slow rendering images will not only negatively affect your search engine ranking, but also discourage visitors from viewing your images and possibly sharing them within their social network. There are many free tools available online that you can utilize to resize, compress, manipulate and scale the images without losing pixilation. Look up free online image tools such as pixlr or befunky. Alt text is not an option for you. We know that alt text is an option and not mandatory when uploading an image to your webpage. Unfortunately, this prompts us to simply ignore it, much to our detriment. Either we don’t understand the importance of this key element, or we want to save precious time. Alt text or alt tag enables search engines to recognize your image content. Using text that clearly describes your image, you are telling the search engines what the picture is all about and providing a clear alternative understanding to your end users. Another importance behind image tagging is that, as your website is further developed and becomes more authoritative, the images on your webpages will also grow in search ranking. As an entrepreneur and business owner, you understand the importance of email marketing and how it aids in reaching your target audience and driving revenue. You possess a general knowledge that email marketing is a vital source of communication between you and your customers – ergo, a crucial marketing strategy for the success of your business. Likewise, your customers like to be informed of your new products and other services. They like to receive promotional coupons, special event invitations and read helpful articles or news in their genre of interest. According to HubSpot, 95% of customers check their emails daily and 77% of them prefer email communication. The above paragraph sounds like a perfect mutual business relationship, Doesn’t it? The answer is; It can be, if only you can put forth a little effort towards effectively strategizing your email subject title. When you log into your email inbox, you are more than likely to see a ton of emails from various businesses and services that you have subscribed to. You receive at least 25 of these emails daily, informing you about special offers. You scan through your emails and if the title does not seem appealing or relevant, you will either ignore or delete the email. With that amount of email traffic coming into your inbox, how can you make sure that the emails you send out has the “power words” to cut through the crowd and stand out waiting to be clicked instantly? 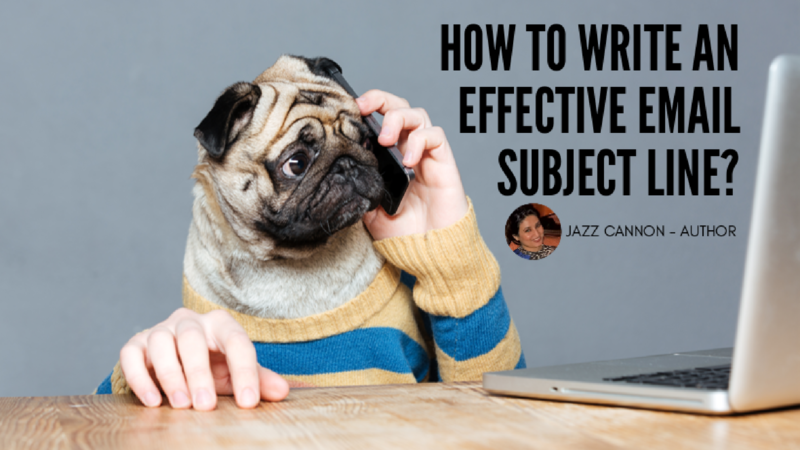 Your subject line entices your reader to open your email. It encourages your audience to read the information inside. 35% of email recipients open email based on the subject line alone. Therefore, a carefully considered email title is an important part of the writing process. The shorter the subject line, the higher the open click rate. You simply want to get your message across in a clear, simple and effective manner. Remember, 80% of your audience read the subject line. So, be direct. A title with a question will certainly pique your reader’s curiosity. Which in turn will prompt them to click on your email. Keep in mind that you want to make them curious about something they have at least some basic knowledge of and is relevant enough to check the rest of the email. So, make them curious like a cat. Your audience love the sound of their own name. Make them feel special by using their name on the subject line. For example, “Happy Birthday Joe – Enjoy the Surprise Inside!” Personalization will also increase your click through rate. So, be personal. Everyone enjoys a good laugh. Most importantly, they will remember it. One of my favorite email subject title is from OpenTable “Licking your phone never tasted so good”. As long as you don’t overdo it, applying humor to your subject title is a successful way to entice your reader and get a click through. So, be playful. 5. Stay away from all CAPS and exclamation points!!!!! You don’t want your message to come across naive and unprofessional. Using caps means you are yelling, and too many exclamation points can throw some people off an make you appear as an amateur. It is easy to ignore the preheader text, which is just below your subject line. However, preheader text plays a significant role in the email marketing scheme. Particularly for smart phone users. Consider the preheader as a type of preview or a teaser enticing your recipient to view the content inside your email. It is a perfect opportunity to add your call-to-action, create that sense of urgency and / or curiosity on your preheader text. When smart phone users check their email, they are not only enticed by the subject line, but also by the sneak preview of the content inside. This allows them to view what it pertains to and how relevant it is to them. This is referred to as a cliff hanger – meaning, they are able to effectively get a reader’s digest overview of your email and make a decision to click through to read further. Thus, increasing your click through rate (CTR). Your customers trust your brand by your method of delivery. Therefore, deliver what you promise. If your email subject line does not follow the content inside your email, then the chances of garnering customers can become slim. Perhaps even marked as spam. Your final consideration is when to send your email. What is an appropriate time? This depends on your audience and your business type. If you own a restaurant, then the best time to send an enticing email such as, “Where to Eat Fish & Chips Tonight” would be between 3:00pm to 5:00pm – the typical rush hour. Lastly, if you could perform A/B split testing of your compelling subject titles, it will prove to be beneficial to you in the long run. You will be able to develop success metrics by defining statistical reports of your customer’s behavior on how they interact with the emails that they receive from you. 1. Sale – It’s a powerful motivator for customers. Take a clue from Walmart. 2. Off – You can give a percentage OFF, but offering an exact dollar amount OFF will see your email opened right away. 3. Now – This creates a call-to-action with a sense of urgency. 4. New – What would you get excited about? Something old or something NEW? 6. Be the first – Nobody likes leftovers. Allow your customers to be the first to receive exclusive access to special offers. 7. Your – Speak directly to your customers with a personalized touch. Be like Beyoncé, say their name, say their name. 8. Thank you – A little bit of this goes a long way. Delight customers by marrying your “thank you” with a unique offer. 9. Remember – Be of service to your customers by offering gentle reminders of your sales events and/or product specials. Imagine this; if you sell batteries, a reminder that they are running low will come as a pleasant surprise. 10. Tips – Relevant tips that are not generally known, come as a welcome gift of knowledge that they can share with others – thus, becoming ardent promoters of your products and services. Hurry – Look inside – Guaranteed – Groundbreaking – Huge – Hassle-free – Once in a lifetime – Final days to save – SAVE UP TO % RIGHT NOW!!! HIRE A MAX MEDIA HERO TODAY! 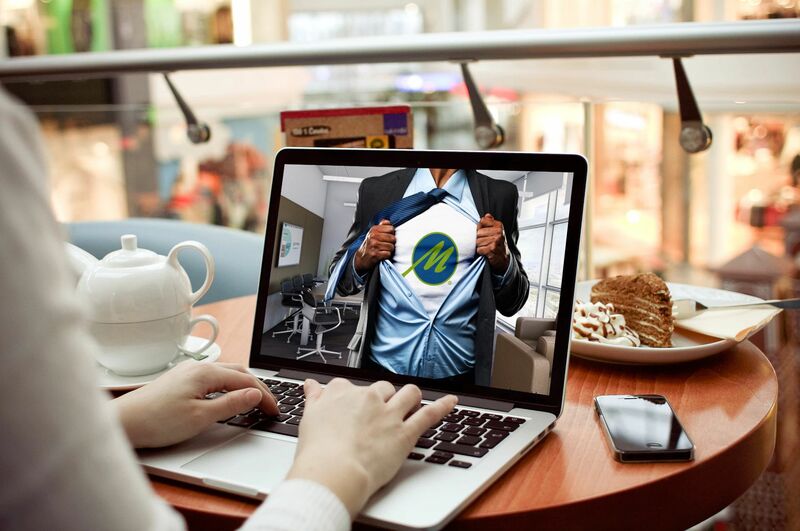 All Max Media Group team members work remote flex hours so there is always a highly-skilled expert available for you 24/7/365, for when you wake up at 3AM with that very important question or million dollar idea. You have successfulling subscribed to MAXmedia digital marketing newsletter! We are web design, digital graphics, software development and online marketing agency based in the city of Orlando within Orange county of central Florida. 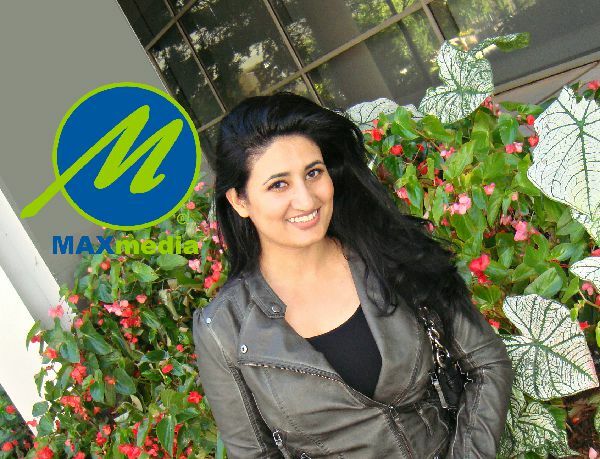 Max Media Group is a family-owned digital services company serving corporations worldwide, as well as, local businesses within Orlando, Lake Nona, Kissimmee, Altamone Springs, Oviedo, Lake Mary, Sanford, Cocoa Beach, Daytona and the greater Tampa and St. Petersburg areas. Copyright (c) 2017 Max Media Group, LLC - All Rights Reserved.